The SAP Consulting IT business was established in the year 2011. Having strong SAP business practice on SAP Cloud products and also have own established software. Currently 20 professionals are working with the company. 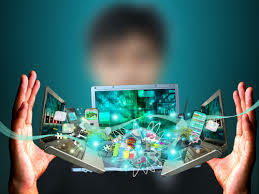 The main cost of the business would be maintenance and up-gradation of existing software. The company is established in 2500 sq. feet’s rented office in Noida. Last Year’s turnover was 96 lakhs. Asking price is Rs. 2 cr. (negotiable). ReasonThere are two partners and both want to come out from the partnership.